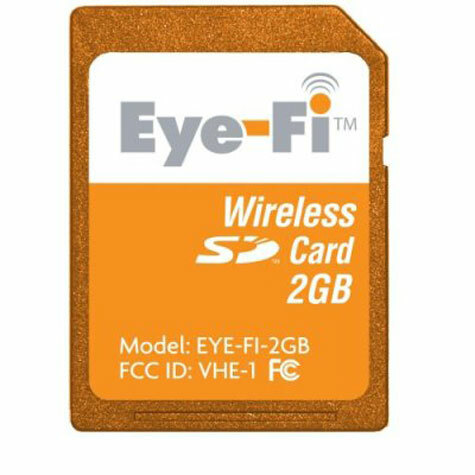 The Eye-Fi Card is a wireless memory card for your digital camera that uses your home Wi-Fi network to effortlessly upload pictures from your camera to a PC or Mac and to your favorite photo or social networking website. And, it fits and stores photos just like a standard SD card. Features: 1. Uploads photos automatically from Eye-Fi Card inside your camera. Built-in Wi-Fi connects to your home network. 2. Provides free and unlimited photo uploads to your computer and your favorite photo or social networking website. Photo transmission is secure and private. 3. Supports sharing and printing websites, including Fotki, Shutterfly, dotPhoto, webshots, phanfare, Picasa Web albums, flickr, TypePad, Wal-Mart, snapfish, VOX, smugmug, facebook, photobucket, Kodak Gallery, and Sharpcast. 4. Handles full-resolution jpeg images and intelligently re-sizes photos if limited by your chosen photo or social networking website. 5. Features Eye-Fi Manager for easy set-up of wireless network and photo upload preferences. 6. Fits digital cameras that use SD memory cards. 7. Offers 2 GB of memory to store photos on the card. 8. Includes USB memory card reader to make set-up easy. Requirements & compatibility: 1. Eye-Fi Card requires Internet connection to set-up and Wi-Fi network for wireless uploads 2. 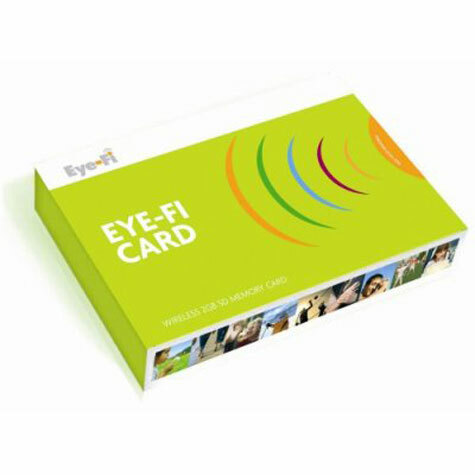 Eye-Fi Card works with virtually all digital cameras accepting SD memory cards 3. Eye-Fi Card works with 802.11g, 802.11b and backwards-compatible 802.11n wireless networks 4. Eye-Fi software works with Windows XP, Windows Vista, Mac OS X (10.3 and 10.4) 5. Eye-Fi software works with Internet Explorer 6 and 7 (Windows only), Firefox 2.0 (Windows and Macintosh). Most of the main retailers are out of stock on this item, but dotPhoto has them. I should know because I work there.